Hardwoods generally made up of three materials: cellulose, hemicellulose, and lignin. The basic structure of wood cells are cellulose and hemicellulose and lignin is the cell-binding glue. Softwoods like fir and pines are full of resin, which give off a harsh-tasting soot when burned, so not used for smoking. 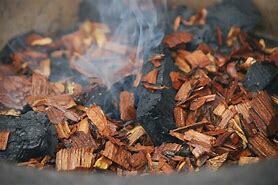 The wood cells are mixed sugar molecules; when burned, they caramelize, which provide the color and aromas. Wood also contains small quantities of proteins, which contribute roasted flavors. The wood smoke smell dissipates after a few weeks or months. Some wood smoke compounds act as preservatives. 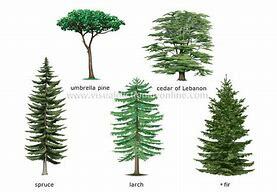 Due to the different ratios of compounds in the different kinds of trees, they impart a different flavor to food. Another factor is the temperature that wood burns. High-temperature fires are usually flavorless. The best conditions for smoke flavor are low, smoldering temps between 570 and 750 degrees F. This is the temperatures of the burning wood, not the smoke which is much lower. Woods like oak tend to burn hot; to keep them smoldering need to restrict oxygen or have a higher moisture content. 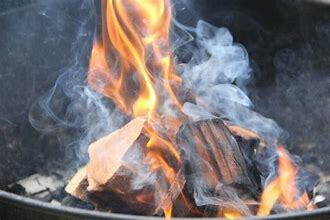 When using wood chips or chunks, they are often soaked in water before burning.